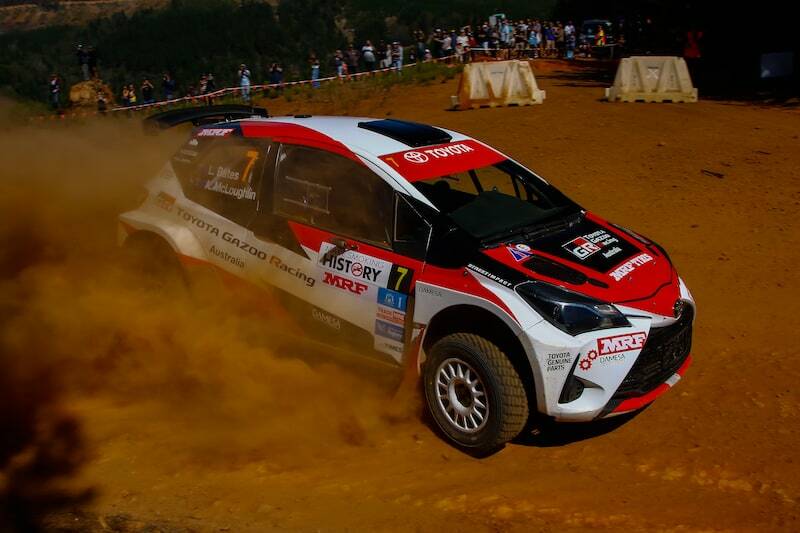 Toyota have claimed a clean sweep of the opening round of the Australian Rally Championship in Western Australia after another 1-2 finish in heat two. The team’s drivers, Harry and Lewis Bates, finished in the same order as yesterday in what was a dream start to the new Toyota Gazoo Racing Australia team. The heat started with drama on Saturday evening’s Busselton street stage, when the younger Bates clipped a hay bale, damaging the Yaris’ front left corner. Sunday’s heat two stages in comparison, were relatively drama-free for the Bates brothers as they continued on from their heat one form. “We couldn’t have asked for a better result,” Harry Bates said. “This round is always really tough, it’s my first time winning here in four attempts. “It’s a long year, we’ve got to keep working… this is really just the beginning. I am looking forward to seeing what we can do. I said to (co-driver) John, I feel this weekend we were able to show what we can do when we have a good run,” he added. Darren Windus rounded out the podium in what was an improved performance on heat one. 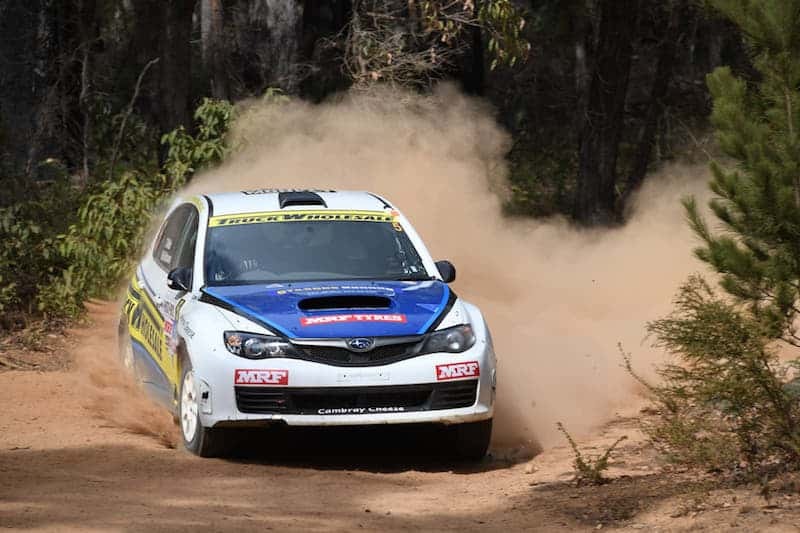 Windus turned up the dial on Sunday’s stages, and stretched the legs of the GC8 Subaru, giving him growing confidence in his return to the national series. The Skoda Fabia R5 of John O’Dowd was fourth, and like Windus, picked up the pace as he came to grips with the car and slippery WA roads. Maximum Motorsport driver, Tom Wilde was impressing again, setting some blisteringly fast stage times. In his first ARC appearance for some time, he was sitting in second position before a puncture saw him plummet down the order. Wilde continued his strong pace after the dilemma, but lost another minute on the final stage, finishing in fifth. Subaru do Motorsport’s Molly Taylor was also on for a strong result before electrical gremlins saw her new Subaru drop a cylinder. The 2016 champion limped through the remaining stages to finish sixth gaining points for her championship push. Troy Dowel finished off a great weekend in only his second rally to finish in seventh position. The young driver gained valuable seat time in difficult conditions, and will be happy with his performance. Shamrock Motorsport driver, Richie Dalton, was showing improved speed, and was setting split times comparable to leader, Bates. However towards the end of stage 16, the Irishman crashed out of third position after moving to avoid a rock on a tightening bend. Luckily for him and the Activ Rallysport team, the damage was minimal, and will be fixed in time for round two. The next round of the Australian Rally Championship sees crews head to Canberra for the National Capital Rally which is the first of the series’ new one day events.